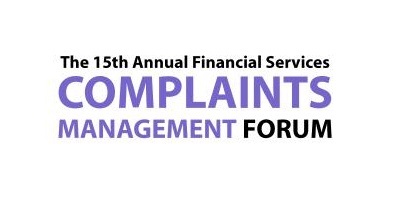 Workpro will be exhibiting at the 15th Annual Financial Services Complaints Management Forum to be held 16-17 March 2016 in London. Workpro Complaints for Financial Services comes pre-configured to meet the complaint handling needs of financial services firms, with FCA reports and targets, automatic complaint classification, standardised workflows and templates built-in. FCA compliant reports - assurance that information is being recorded correctly. FCA compliant letter templates - correspondence is standard and FCA compliant. Automatic mapping from client specific product names and complaint categorisations to FCA Product/Service Groupings and FCA Product & Cause Categorisations for smooth FCA submissions. Standardised best practice workflows with FCA targets and reminders ensure complaint handlers meet FCA timescales, and provide management oversight. Multilevel categorisation and root cause analysis allow for extensive scrutiny of complaint data, providing essential information for service improvement. Multiple redress categories allow for all types of redress and compensation to be recorded and reported whether an apology, a gift or financial. This ensures that the firm can accurately report on complaint costs. Single web page entry so that complaints can be captured quickly and easily. Fast, low cost deployment and training. Pre-configured and ready to go, but also extensively customisable. Hosted or on-site system options.